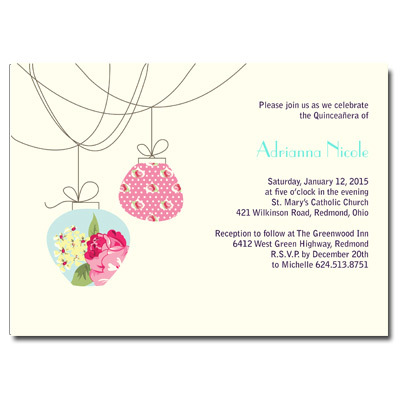 Two hanging floral paper lanterns are featured on this stylish Quinceanera Invitation. Beautifully printed on ecru paper add a nice touch to this elegant rose inspired design. Text is in royal and light blue. Card measures 7x5 and comes with matching ecru envelopes to complete the look.